The Police Constable Assessment Centre (‘Day 1’) is a national process that applies to every one of the 43 English and Welsh police services that come under the Home Office. To become a police officer at any of these services you MUST pass your ‘Day 1’. Your ‘Day 1’ Assessment is designed so that 50% FAIL. Those that fail have to wait 6 months before they can re-apply. It is vital that you pass your ‘Day 1’ on your first attempt. This is why we have set up this dedicated, intimate course, taught by David Bebb, a police recruitment expert with 30 years in the MET. ‘Day 1’ is hard and stressful, many good candidates fail it. Our comprehensive full day assessment centre coaching course will improve your chances of passing your ‘Day 1’ by increasing your knowledge, preparation and confidence. I’m proud to say I worked for the Metropolitan Police Service for 30 years. During that long career, I performed several varied and interesting roles. One of these was in its recruitment branch. I worked there for several years as a recruiter and specialist trainer. As an expert in police assessment centres my main role was to write and deliver ‘Pre-Assessment Centre Workshops’ to certain candidates. The Met ran these courses for a simple but very good reason- those that attended had a significantly better chance of passing their ‘Day 1’ than those who didn’t. Since I left the Met I have developed and now deliver an even better, longer and more detailed course. It is the ideal preparation for your ‘Day 1’. 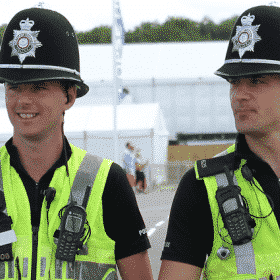 To become a police officer at any of the 43 police services in England and Wales that you have applied to, you MUST pass your Police Constable Assessment Centre (‘Day 1’). ‘Day 1’ is by far the hardest part of the whole selection process. Our comprehensive and interesting course will thoroughly prepare you for what you will undertake at ‘Day 1’ and give you the best chance of passing it. 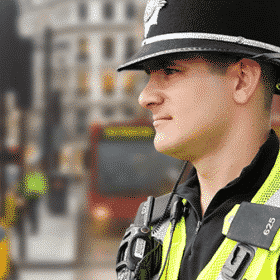 As ‘Day 1’ is a national process this course is the one for you whether you are applying to the Met or Merseyside, Kent or Cumbria, or any of the 43 police services in England and Wales. 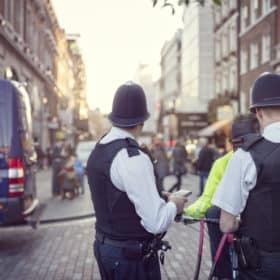 Our trainer is an expert in this subject having written and delivered this type of training on behalf of the Metropolitan Police. His course was proven to increase candidates’ scores at their ‘Day 1’, and increase their chances of becoming a police officer. EVERY EXTRA MARK that you gain really does COUNT at a time when joining the police has become a rare opportunity and more competitive than it has ever been. Our course is also great even if you haven’t yet applied to the police but intend to at one stage. It will let you know what to expect once you have applied. Crucially it will identify any weaknesses that you may have well in advance of your ‘Day 1’ so that you have plenty of time to put them right. For many this course really will be the difference between becoming a police officer or not. Come along and we can help you to achieve the career of your dreams. Attending courses of this type is proven to improve a candidate’s chances of passing their ‘Day 1’. 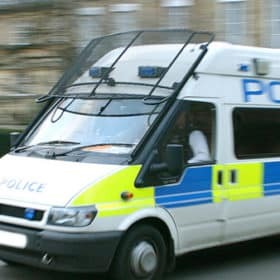 It is vital that candidates score as high a percentage as possible at their ‘Day 1’ as often police services will ‘top slice’ the best candidates. This course will improve the score of the vast majority of people attending it. A higher score at ‘Day 1’ is often what leads to police services inviting candidates to apply for the High Potential Development Scheme. Attendees knowledge, preparation and confidence levels will be improved. Attendees will be clear about what they have to do at the assessment. They will be taught tried and trusted ways to approach every exercise. Attendees will practice realistic exercises. They will receive constructive and performance enhancing feedback on their performance and get useful tips about how they can further improve their performance. Students will have their questions answered. Even after their course is over students can still contact our expert trainer with any questions that subsequently occur to them. Our trainer has an excellent overall knowledge of the whole recruitment process. He will be able to answer plenty of your recruitment questions, not just ones relating to ‘Day 1’. 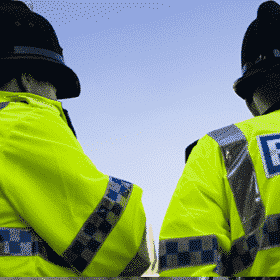 Even though these courses are proven to improve pass rates and performance, few are offered such training by the police service they are applying to. So coming on this course will give candidates an advantage that few would otherwise get the chance to receive. The whole day is extremely interactive and will allow you to gauge where you are in regards to your preparation for your assessment. That’s because you will receive expert constructive feedback and so be able to identify anything that you may need to brush up on before your ‘Day 1’. You will, of course, be free to ask questions and not just throughout the day but after it as well. That’s because you can contact our expert trainer right up to the day before your assessment. This unique ‘aftercare’ service comes at no additional expense to yourself. You are extremely unlikely to be offered such a course by the police service you are applying to, so give yourself an advantage by coming on our one. First, by explaining what Competency Based Assessment is. Learn the structure of every assessment centre exercise with useful tips on all of them. Practice realistic mock tests including the written test, maths test and verbal reasoning test. Students, will also practice role plays. You will also be told about the structure of the interview and receive great tips about how to approach it. Come on our course and increase your chances of passing your hard and demanding police assessment centre! You will be given invaluable information, tips and your questions will be answered. You will practice realistic mock exercises and receive expert feedback and advice about them. You will also be able to assess your own strengths and weaknesses. If you use our expert’s tips it’s probable that your overall percentage score will be improved. This is vital as simply passing ‘Day 1’ is often not enough, because police services often ‘top slice’ the best candidates. Our expert trainer is skilled, friendly and helpful. He has helped literally 100s of people like yourself to pass their ‘Day 1’. Let him help you to fulfil your ambition of becoming a police officer. You’ll be taught by Dave Bebb, an expert in police assessment centres whose main role was to write and deliver ‘Pre-Assessment Centre Workshops’ on behalf of the Metropolitan Police Service. As an aspiring police officer, you probably know a lot of people who have failed during their application process and you don’t want to be one of them for the sake of the small course fee. Our feedback for this course has been phenomenal, we have an average rating of 9.5/10 on TrustPilot. Even after your course is over, you can still contact our expert trainer with any questions that subsequently occurs to you. To ensure that the course is tailored to you and to give you the best preparation to pass ‘Day 1’ assessment this 1-day intimate coaching course is limited to just 9 places. This is to ensure that the course tutor gets to mentor you on a personal level. Here’s a full course itinerary from the course tutor himself, covering absolutely everything you can expect to learn and achieve on the day. The power of this course is cannot be emphasised enough. It is statistically proven to add 5% to 6% to attendees scores, which as you know is hugely significant considering every single mark at the assessment centre is precious! The total cost of the course is £187+vat. It can be paid upfront as a one off payment. Alternatively, you can spread the cost over 3 easy installments of only £69 plus vat.